The winter I was sixteen, we milked over a hundred cows. The only one who’d kick you was Penny. “Why do we keep this cow?” I said, dodging another of her attempts. I daydreamed plenty. Armed with a shopping bag of college brochures, I chanted the promises of university life: go from the ordinary to the unexpected, discover new passions. 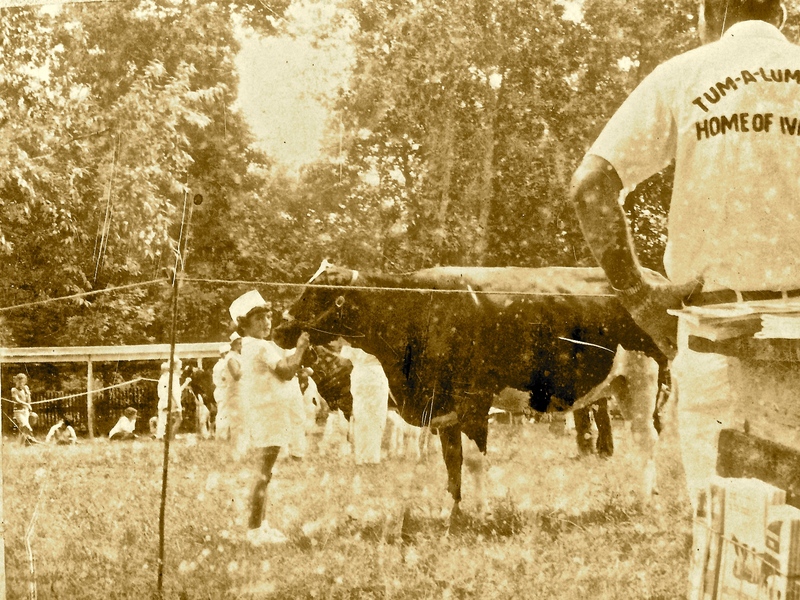 Standing in the pit of the milking parlor, udder-level with two rows of cows, seven on a side, I milked whenever hired help didn’t show, which was often. I cleaned barns, filled hayracks, cut corn. Through it all I thought: One of these days. Now it loomed: the time I would be done with cows, especially cows like Penny. Only my father would have kept a cow like her. Though most cows’ udders hang like upside down hearts, four teats pointing toward the ground, Penny had teats like weathervane arrows. No milking machine hung on her without its seal leaking (which made a racket) or falling off altogether. With Penny in the milking parlor, you couldn’t rush down the line dipping teats with iodine the way you did with any other bunch. Instead, you extended your arm to touch her hock with your finger. Once she got the kick out of the way, she’d stand, leg trembling. The knock-your-head-off-your-shoulders jolt came if you surprised her. My father feared nothing. “High school boys are really attracted to girls who smell like cow manure, didn’t you know?” I said. Penny swatted me with her tail, left a trail of manure across my cheek. I begged him to let me call for the auction truck. My mother and I sat in the waiting room at the dermatologist’s. It was her idea, just as it had been her idea for me to get contacts instead of another pair of glasses with lenses thick enough to start a fire with on a cloudy day. The office buzzed with conversation and soft rock. In the car, she agreed not come in with me. I knew she’d try because she feared I’d withhold information the way my father did with doctors, but with this doctor, the evidence presented itself. I had acne or I would be home right now, home or somewhere with kids my own age doing the normal things kids my own age did. I was shy, but even more so when my mother was around. The woman had never met a person she wasn’t related to or didn’t go to school with. Once we got her off the farm, she made it look easy – making friends, making conversation. I tried reading my notes for the next day’s trigonometry exam. “I’m going to fail,” I said. I thought of my father trying to man both sides of the parlor and clean up afterwards. He’d be out there past midnight. “If he’d just get rid of a few cows, we’d get through so much faster,” I said. We repeated this conversation many times those years, the years just before I prepared to leave them there. 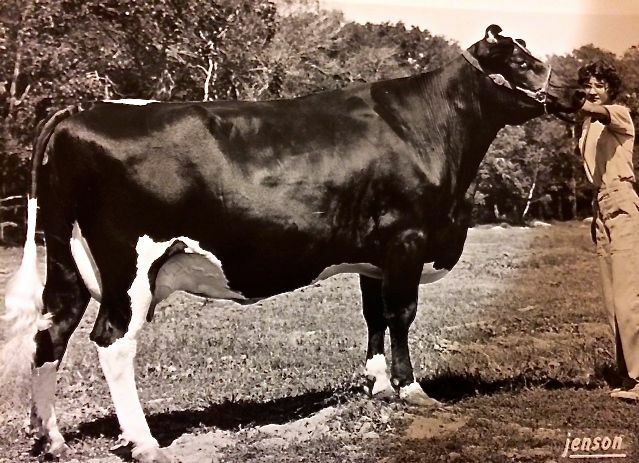 My father had a herd of champions. 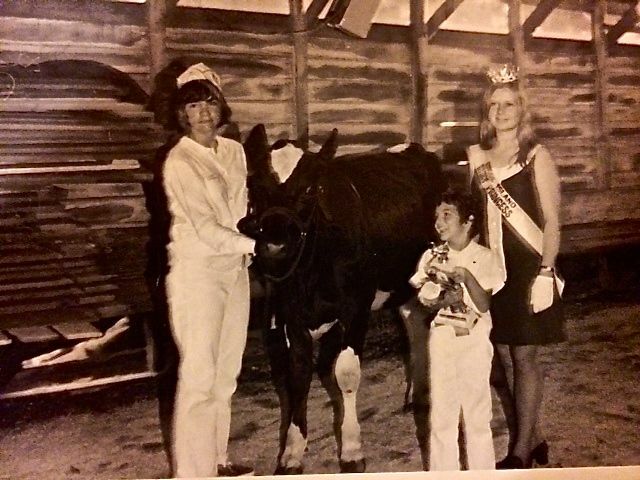 Good milkers, stars of the county fair circuit. But he insisted on keeping dogs like Penny who didn’t milk well and who could hurt someone. No need to tell my mother the last part since one of Penny’s crazy predecessors had crushed her against a wall a few years back and ruptured two discs. The surgeries brought about my mother’s retirement from milking. I considered him hovered over his adding machine, checkbook open beside him and, on top of it, the grain bill. His show cows mostly. When he lost one of them or had to send one to the beef auction, he wouldn’t speak for days. “Look who’s talking,” my mother said. She bit the inside of her cheek. People said we looked alike, same wide-spaced, dark eyes, prominent chins and cheekbones, same nose taking up too much space. When they first dated, my father told her she had dancer’s legs. I couldn’t imagine ever hearing that about my own legs, especially since they were mostly covered in worn jeans stained with manure. The receptionist slid her window open and told me I could come in. I walked across the waiting room and closed the door. Some kid or other always showed up looking for work. Westerly was part beach town, part mill town. The Italians, like my family, settled away from the ocean. They found work in textile mills or granite quarries. In the 1970’s, almost fourteen thousand people lived there year-round, another twelve thousand arrived for the summer. We had three small grocery stores, a local donut chain with a couple shops and a few fast food chains. If your hair was too long or you had no car, the managers hired someone else. On the other hand, my father might call you Hippie, but he’d have a job for you. 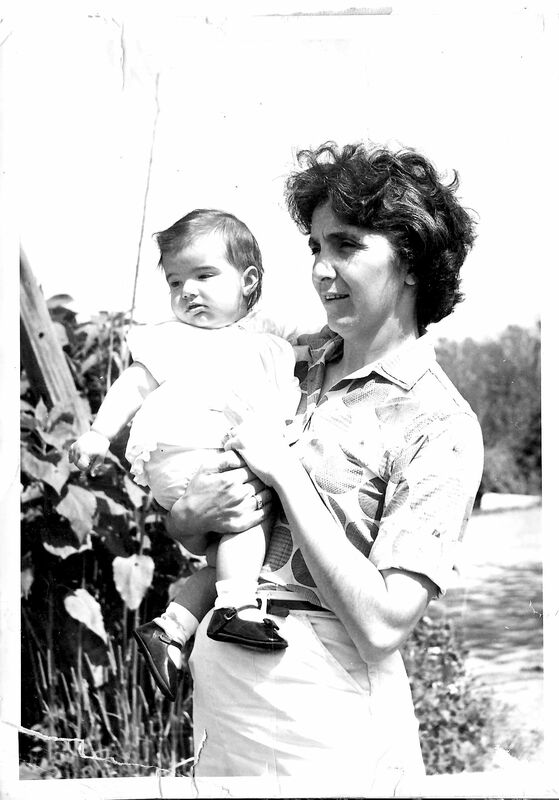 My mother provided lunches and taxi service. Still, the turnover was significant. I had plenty of opportunities to perfect the Penny lesson. That February, I watched from the kitchen window as a kid got dropped off in a gold Dodge Dart missing its rear bumper. The dogs barked and charged the car. I felt a glimmer of hope when this boy let the dogs jump on him. He didn’t touch them, kept his hands in his back pockets as they buffeted him around, but he didn’t look scared exactly. God knows where my father was – underneath the manure spreader fixing a belt, down in the freestall dismantling a waterer. My mother told me to let his mother know he’d be done late. We could never be more specific than that. My mother liked to order me out with messages. Days went by when the only time she left the house was to run to plumbing supply for flux or to Agway for salt licks. She’d started watching one soap opera at lunchtime, but by the end of a year, she turned the television on at noon and kept it on through Merv Griffin, the six o’clock news, Concentration. By 7:30 she sat in bed reading the romance novels whose full-bosomed covers embarrassed me. In Catholic school, she’d been the original smart girl. Anytime my homework required an illustration, she’d teach me how to draw it. She did still visit friends from her old neighborhood, but she left my father’s sandwich on the table, wrapped in wax paper as neatly as a gift. I went out, waved to the kid and tapped on his mother’s window. She wore a plaid bathrobe and opened the door a crack releasing old smoke. I told her he’d be done around ten. I didn’t add: hopefully. “He’ll have to walk home then,” she said and drove off. The kid wore new boots, black plastic ones they sold at Fisher’s Big Wheel. I shooed the dogs and they went to collapse in the hayloft. “My mother will drive you,” I said. Later, we stood in the doorway of the milking parlor. I kept the cows out by waving a lead pipe. The kid wouldn’t have been able to tell a brown cow from a pink one, never mind remember a face. He craned his neck over my shoulder, petrified by the herd surging toward the open door. I told him to step back, that I’d get them, and he scuttled behind me. You see, I wished I could tell my father, boys do not find this kind of courage attractive. In the pit, I showed the kid a marking on Penny’s otherwise white flank, a small black mark in the shape of a fishhook. You could depend on added clues – a teat scratched from bull briars she’d charged through, an ear bloodied from tearing it away from something during flight. “If you forget her, she’ll kill you,” I said. This seemed to impress him. He shook his head at her and whistled. Most new kids lasted about two weeks. The kid whose mother never changed out of her bathrobe lasted three days. When my mother called me, I was sitting on my bed, reading a college brochure: Because your search for a school is as unique as you are . . .
“Doesn’t look like your dad’s going to have help tonight,” she said. “I’m not going.” I said this often, especially in winter. The unheated milking parlor, my wet hands, my feet on cement. Plates clattered as my mother finished supper dishes. She admitted there were times when she wondered how she’d gotten here after running the diner where my father came in for every meal. He left her a twenty dollar tip, almost a week’s salary, when he found out she had four kids. He charmed her, never gave up. She milked beside him for years before her injury, laid me sleeping on a cot in the office near the furnace while she worked. “There’s a little thing called studying,” I’d mumble into her shoulder. My father, who never reached high school because the early start conflicted with his milk delivery route, believed in education and believed in footing the bill for it. But my sisters married young. My brother left home in a van full of long-haired guys and their guitars to travel the country, maybe audition for Johnny Cash. I was the honor roll student, the kid who lost sleep over paper deadlines and SATs. So off I’d go in a couple years, the first in the family to take up residence hours away in search of a degree. What would it be like to know that on the coldest nights of the year, you didn’t have to go out there into the dark and wind, into a long night of work? In a couple years when the hired help let him down, my mother would be the only one home. I pitched the pamphlet against the wall and dug long underwear out of a pile on the floor. “Do you know how I’m going to decide which college to attend?” I asked my mother as I pulled on my boots downstairs. The sides of my nose and the crease in my chin burned from the acne medicine. My whole face peeled away in white flakes leaving behind an angry red. “One that’s as far away from cows as possible,” she said. I opened the back door and my father’s singing drifted across the barnyard – Everybody loves somebody sometime . . .
Was she happy? Most days, I doubted it. But she kept a life off the farm, friends from the old neighborhood, shopping trips to the Fall River outlets, babysitting for my sisters’ kids. Once a year, she spent a week in Maine with a good friend, just the two of them eating lobsters and playing Scrabble on a shady deck overlooking a salt water bay. When I swung the parlor door open, my father stopped singing and looked up from where he was hosing off the back feet of a cow. The parlor smelled sharply of manure and iodine. The animals gave off heat despite the cold, the vacuum of the milking machines provided a soft percussion. The dogs trotted through a door and butted me with their snouts. The dogs’ tails cooled the air currents around my legs until I climbed down into the pit and got busy. When Penny came in an hour later, I followed protocol. She kicked the air so hard at my first poke, she cut her leg on a bolt in her stanchion. “Stupid animal,” I said, though I had been lulled that night, as if in crossing off my working nights on an imaginary calendar, I’d forgotten I’d actually have to leave – pack my bags, drive away, sleep in a room without the sounds of tractors roaring out my open window, dogs barking at raccoons in the corn fields. To hear instead the breathing of strangers, their footsteps down long hallways, to smell their laundry soap, their shampoos. But Penny jerked me out of my reverie. At times, I pitied her, homely as she was, terrified and senseless. Now I tried deciding which life was worse – a cow’s or those assigned to look after them. Well, I thought, at least the way out for me isn’t on a truck headed for a beef auction. “Kid was kind of nervous.” My father said this about everyone. He stripped the milk out of another animal’s teat by hand, her quarter red and swollen with mastitis. What squirted out was more water than milk, clots of yellow, streaks of blood. She’d probably go blind in that quarter despite my father’s efforts, but he’d keep her. Penny might have been the only cow who could hurt you, but there was a mini-herd of animals we could have done without. “When the first tuition bill comes, I have an idea of who you can sell to pay it,” I said. Penny’s kick launched her machine under the cow in front of her. I sought a safe path through her flashing hooves to re-attach it, but finally hung it on the weigh jar and turned the valve to release her milk. It swirled away through the pipeline, into the tank.